Was There A Google Update Yesterday: March 25, 2014? 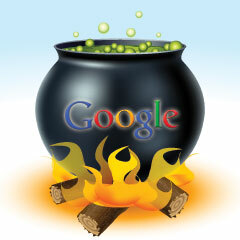 Home > Google News > Google Updates > Did Google Do An Algorithm Update Yesterday? Did Google Do An Algorithm Update Yesterday? We've been noticing a steady and consistent level of chatter in the forums and social networks from webmasters and SEOs around Google's search results fluctuations. The steady an consistent level of chatter is actually higher than the typical, but it is steady and consistently asking if there was shifts. As you know, Google has been active on manual actions recently around a lot of link networks, so I first suspected the chatter and reactions were around sites being impacted by that. It still may be but it seems the chatter has slightly increased over the past day or so. Seeing huge movement since saturday. It seems to be the "softer" Panda update. Unfortunately it looks more like a hardend version, since almost all small websites in my niche (including mine) went down a few spots and many big brand sites with low quality content are ranking much higher than before. We've seen some negative shifting here, down 5 - 10 positions for most of our main terms. Bad times again spooned out by Google. My small niche site's traffic has doubled since last week. I did get a big link last week and added rich snippet breadcrumbs the weekend before and google is now showing the review score snippets finally, so don't know if it's an algo thing or any of the latter. Truth is, my internal signals from all of this makes me believe there wasn't a major algorithm update but I can be wrong. I just think there is a lot of manual actions going out this past week or so and a lot of SEOs and webmasters disavowing a lot of links, thus shaking up the search results. I can be wrong but that is my gut feeling.